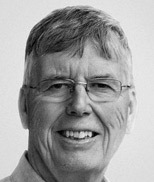 Join Turing Award winner Dr. Michael Stonebraker for an O'Reilly Media webcast on "Why schema first strategies for data unification are a disaster." Across industries, there's an increased focus on getting business value from data, but this invariably requires unifying data from multiple enterprise silos often with public data from the web. The traditional approaches to data integration, Extract, Transform and Load (ETL) systems, Master Data Management (MDM) and rule engines adopt a "schema first" tactic and are often a "train wreck", causing unification projects to fail. In this webcast, 2015 Turing Award winner Dr. Michael Stonebraker explains why traditional approaches fail, using real life use cases with Fortune 100 companies who are saving tens of millions of dollars with an alternate architecture.